I knew something had to change when the only foods my kids were eating was cinnamon toast and granola bars. Before having children, I had graduated in health education and was teaching people in the community the importance of eating more fruits and vegetables. I would wonder to myself why parents had such a hard time getting their kids to eat better, until I had my own kids and found out! 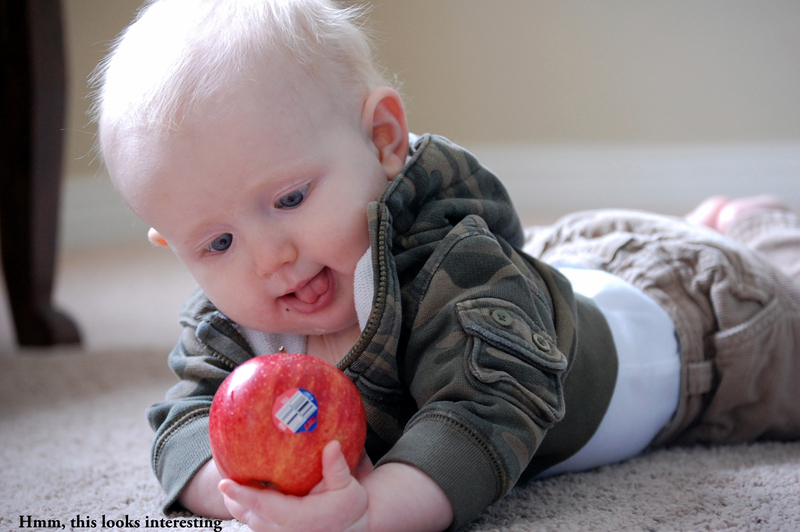 Now, I am passionate about teaching parents and kids good nutrition. By the time kids reach age 10, they will have already formed the dietary habits that they will most likely keep for life. I don’t believe you have to nag, coerce, punish or whine to get them to eat healthy food. Through education and experience, kids will begin to enjoy eating whole, natural food, and maybe the kids will begin to remind their parents how much they need fruits and veggies. 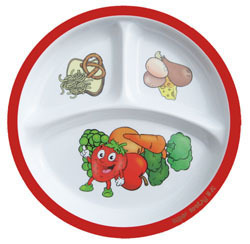 My solution was to create a children’s plate that teaches good nutrition to kids’ ages 2-8. My intention is to empower kids by educating them visually as to what healthy eating should look like. Kids can look at the graphics and see that half of their plate should be comprised of fruits and vegetables, a quarter of their plates should be protein and one quarter of their plate should be grains. Balance is key here and measuring is not required. To learn more about the Healthy Habits plate, or for ideas on feeding your kids healthy food, visit Super Healthy Kids! About Amy: I’m a stay at home mom with a desire to give parents the tools and resources to feed their families better. I love trying new healthy recipes on my formally picky children. We also love getting out into the Utah mountains for family hikes. As an educator, I see nothing more valuable than visual reminders of how to do things better. This plate is perfect – it helps to remind us that carbs shouldn’t be the largest serving on the plate (which can be a huge challenge if your kids are pasta-holics like mine!) This is a fantastic tool. Kudos for helping families feed their kids better. “By the time kids reach age 10, they will have already formed the dietary habits that they will most likely keep for life.” <–I knew that in my head, but reading it is a nice reminder (for someone like me, who doesn't have kids yet).